HONOLULU (HawaiiNewsNow) – Hawaiian Airlines and a Hawaii non-profit have teamed up to raise awareness about ocean safety among visitors with new in-flight videos. Nā Kama Kai is an Oahu based non-profit dedicated to connecting keiki with the ocean. The group produced the new ocean safety video that will be shown in the main cabin of Hawaiian Airlines flights. Ocean drowning is the leading cause of fatal injuries among Hawaii visitors. 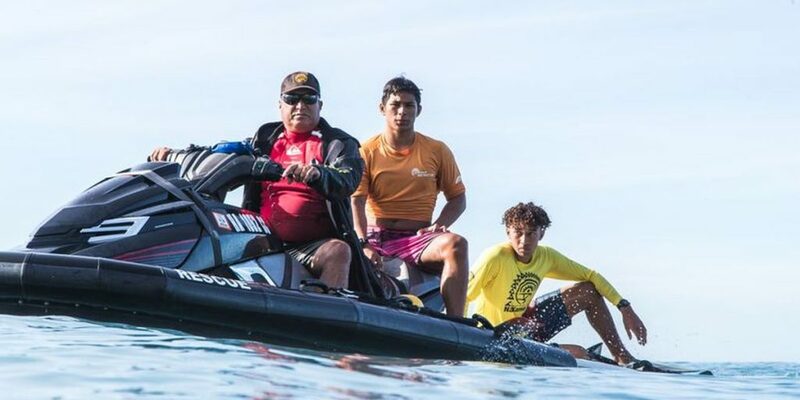 The video features Na Kama Kai founder and CEO Duane DeSoto and a group of Hawaii’s premier surfers and lifeguards sharing their expertise of the ocean. “Ocean safety education could potentially have a negative tone to visitors but knowing what to look for is absolutely critical and cannot be ignored,” said DeSoto, in a blog at HawaiianAirlines.com. The group also produced a free ocean safety and stewardship awareness activity book, which is available to download. The non-profit offers monthly awareness clinics, keiki surf contests and the Alaka‘i Mentorship Program, which was developed in partnership with the Polynesian Voyaging Society to guide teens toward ocean-related careers.